A number of road signs helpfully direct visitors from downtown to the monument, which is open to the public during the afternoons of Memorial Day, Independence Day, Labor Day and Veteran’s Day. 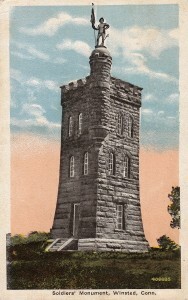 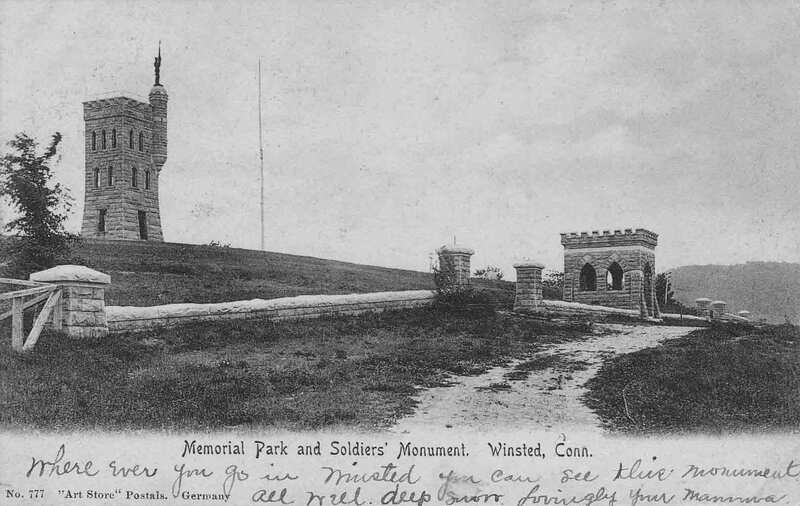 The horizontal, black-and-white postcard near the bottom of this post was mailed from Winsted in 1907 to Illinois. The postmark on the color postcard, which was mailed to Bridgeport, was damaged when someone removed the stamp. 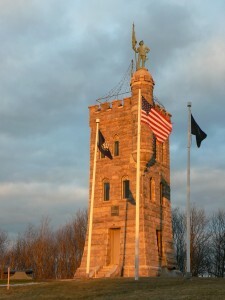 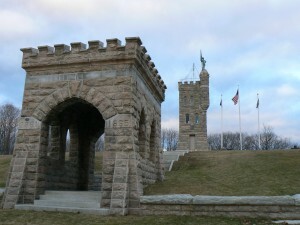 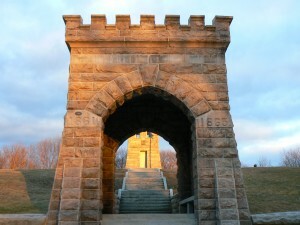 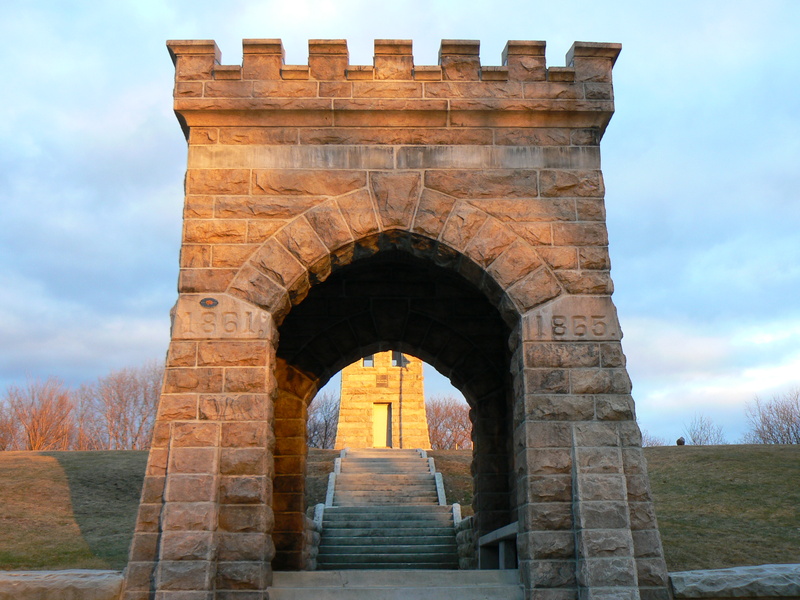 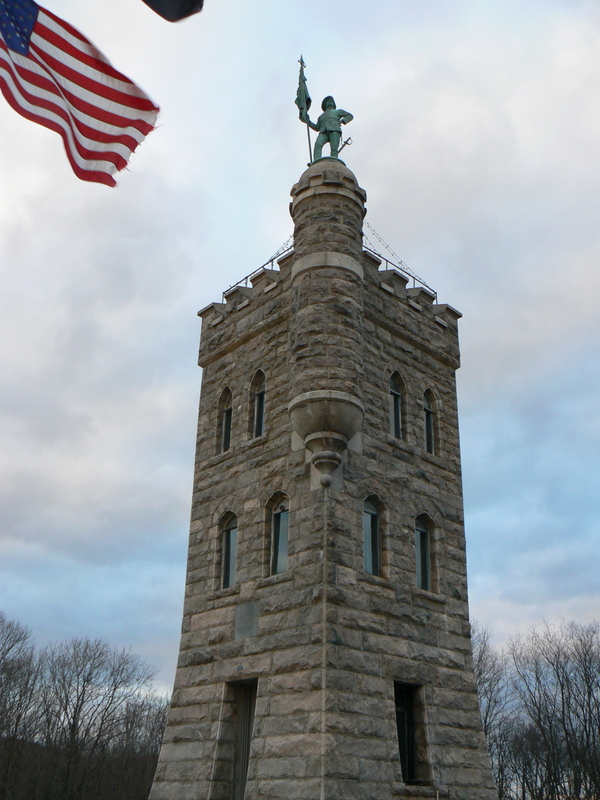 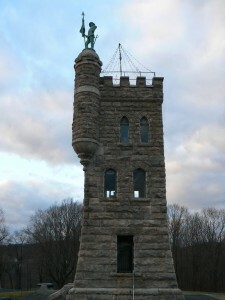 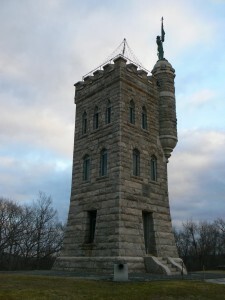 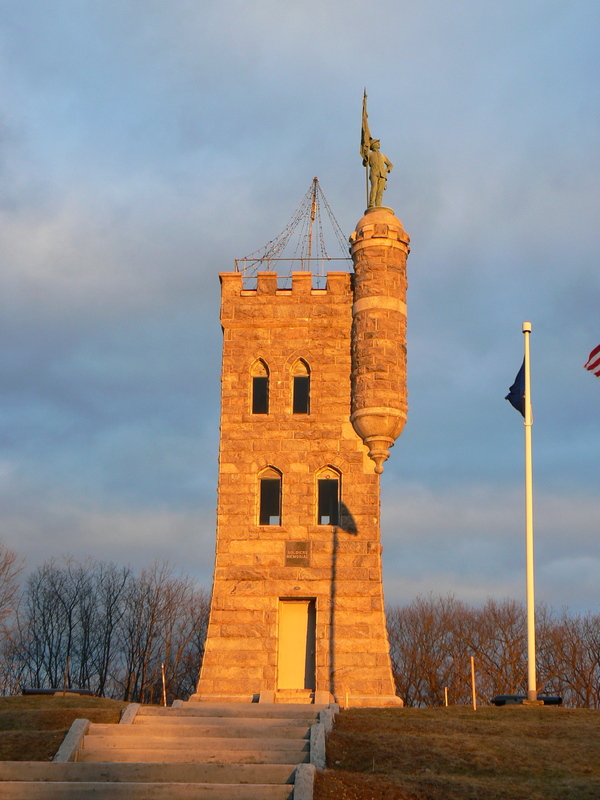 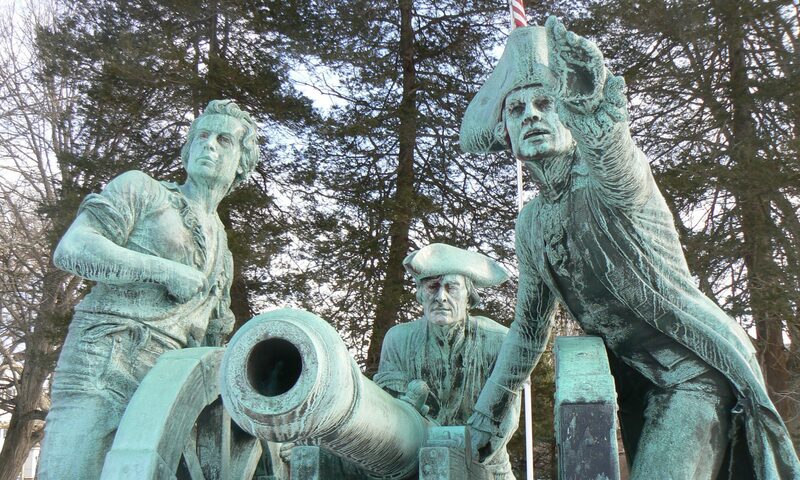 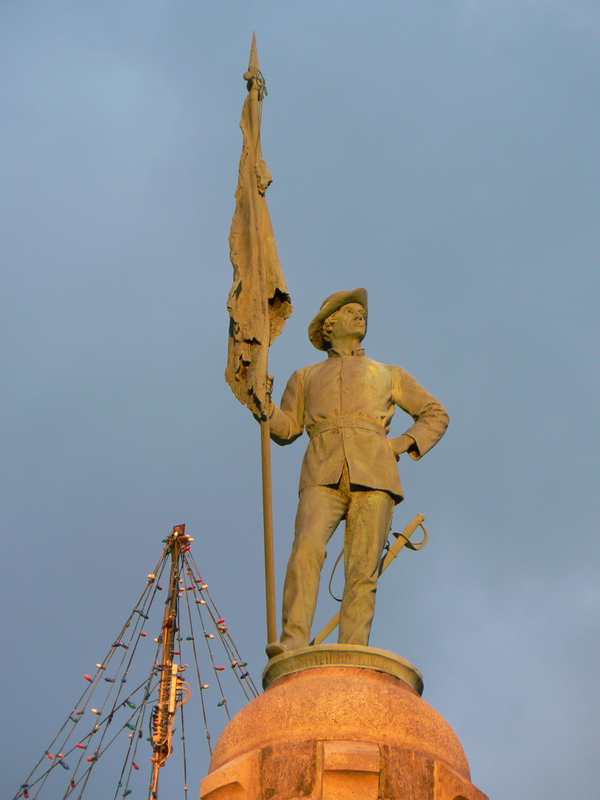 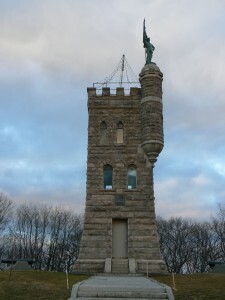 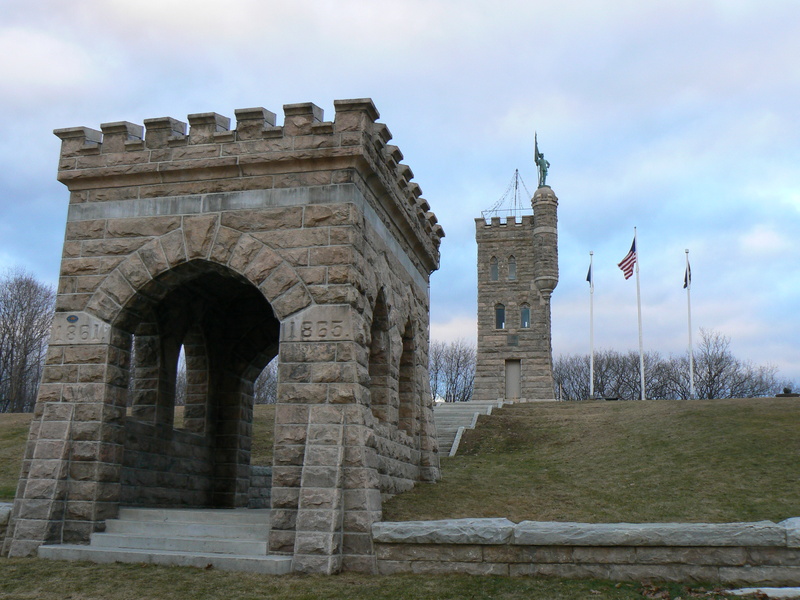 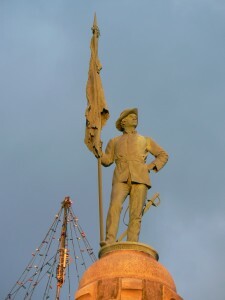 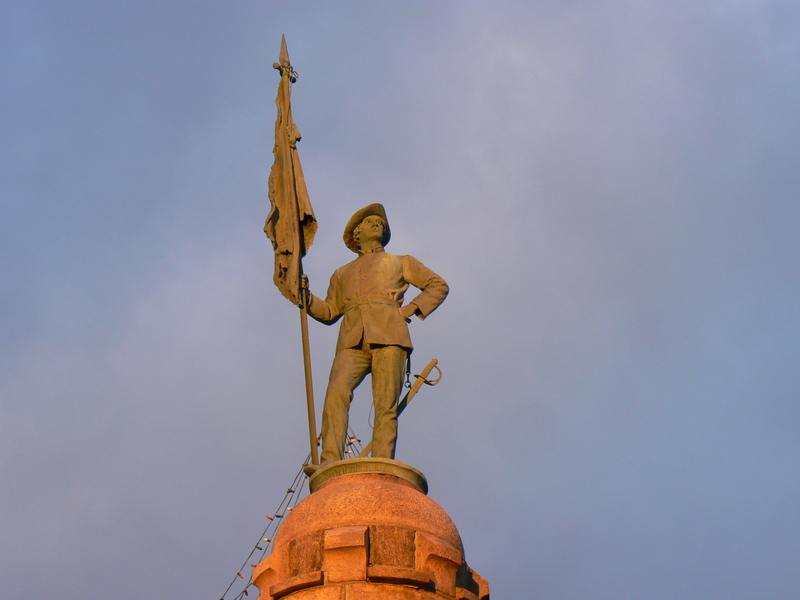 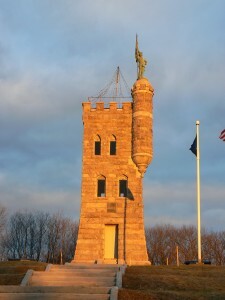 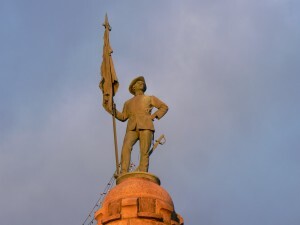 More information about the monument and its restoration, including interior views, can be seen at the Soldiers’ Monument and Memorial Park website.